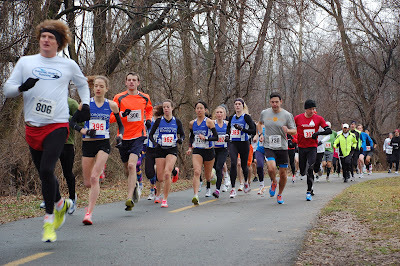 Andy Sovonick and Frank Fung competed at the challenging RRCA 10 Mile Championships in Columbia, MD this Sunday. Andy frolicked and cheesed his way to a sub 58 while Frank finished with a 1:03:54. 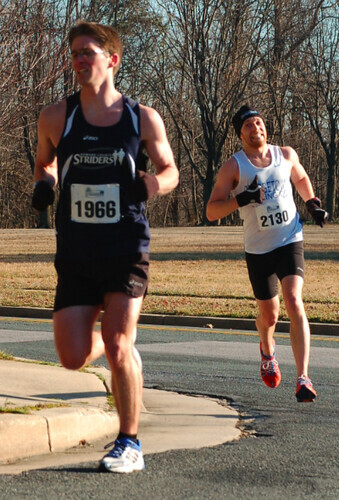 Both men competed for the Montgomery County Road Runners Club. Andy led the squad to their 4th and 5th place finishes in the team co-ed and men's competitions, respectively. And finally, big props to our friends from Falls Road for a clean sweep of every award they were handing out yesterday. It was quite a show out there! Carlos Hunt ran a solid 1:14 at the Mitja Half Marathon in Barcelona. From Carlos: This was probably one of the best paced races I've ever run. I caught the 1:15 pacer group at 7km and left them at km 10, so I feel like I ran consistently from 3:27-3:37 per km (5:44M), and started eating guys up all the way down to the last 100 meters. We’ve got a big weekend of workouts ahead of us. 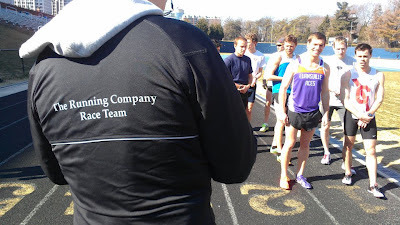 On Saturday, we’ll have the women’s workout and the non-Boston men’s workout at 10 (so meet for the warmup at 9:15). I’ll send a separate email to the women with the details. Any men who want to come out on Saturday should give me a shout and we’ll get a plan together. My back of the envelope calculation is that this will be about 22 miles total. Needless to say this is going to be a very challenging workout, so please take it light the next couple of days, particularly if you ran the workout last night. Please remember that the shoe-change breaks should be as short as possible. This is not a continuous run, but you don’t want to be chit-chatting during the breaks either. As we did last time, I’d like to keep as many of you together as possible on the tempo segments, so let’s have a group right around 5:55-6:00 on that first segment. For that group, the second segment will be something like 5:50-5:45-5:40-5:35. Dickson’s first segment will be around 5:30, and the second segment will be something like 5:25-5:20-5:15-5:10. 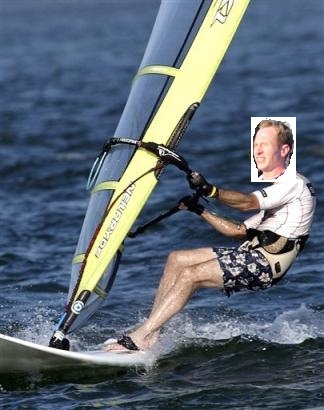 We should have some A groupers jump in with Dickson for part or all of the workout as well. I will meet you on the track, ready to go for the first tempo segment, at 9:30. My schedule Sunday is tight, so please get going on the warmup right at 9. We had some excellent performances in the 3k Time Trial this weekend. Karl earned the win with a furious kick over the last 600, although Sam was not exactly fresh, having already run 2 x 2 mile. Hanson and Witty were right there with them in the lead pack. The story of the day, however, was Jason and Wertz breaking 9:00. Both of these guys have made amazing progress in the short period they’ve been working with GRC, to the point that results like this that would have been shocking a few months ago hardly seem noteworthy. Jason came back on Monday to run 4:30 for a road mile, thereby earning the coveted GRC Athlete of the Week award. Well done! For the workout this week, everyone is going to go 2 x 2k, 4 x 1k. The A group will take 2:00 recovery on all of it, and go 75s on the first 2k, 73s on the second, then 71s, 70s, 69s, 68s on the 1ks. The B group will take 2:30 rest and go 77s on the first 2k, 75s on the second, then 73s, 72s, 71s, 70s on the 1ks. Looking ahead, we have the big Boston group workout on Sunday. I’m planning on having a workout on Saturday for the women, and the non-Boston men. I’ll send full details later in the week. UPDATE: as suggested by KLIM ... we are going to meet at the Carderock parking lot due to construction at Angler's. the lot on the left. That's where we'll be. Feel free to return your fancy pants whenever you'd like. That's right, this "activist" accepted said pants, doesn't sound very principled to me. Just like when he threw his finisher's medal from Riley's Rumble into Scott Koonce's pool, only to dive in after it when he realized it was actually chocolate covered in gold foil. This post was sponsored by GRC Runners for Truth. Let's start the campaign for old school sweats instead of fancy-pants, let's look like everyone else warm-ups. The hoodies could be lettered just "GRC" with your choice of # under it. 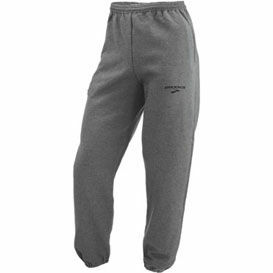 "Brooks Sweat Pant pairs perfectly with Brooks Hooded Sweat Top for an old-school look—but with the added comfort, fit, and feel of technical performance fabrics." 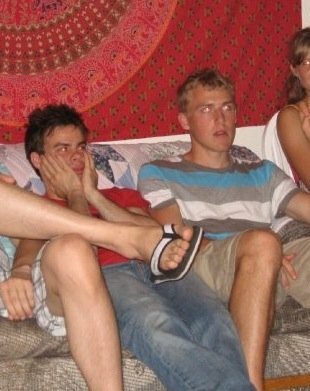 Let your GRC board member know you're voting with the Sweatpants Party (or Jason will beat you up)! It was a big weekend for GRC, with our athletes in action in various locations. To me, the highlight was Avril Ogrodnick's GRC debut. Avril, a former Georgetown standout who has run 2:08 for 800 and 4:19 for 1500, will make the transition to longer races this year, and her solid 18:12 for 5k was an excellent start. We had several other excellent performances for the women at Kirby's 5k, led by Anna's 17:29, followed closely by Drea, Maura, Susan, LTO, and Elyse. On the men's side, Sam ran a season best (and likely GRC indoor club record) 14:37 for 5k in Boston. Sam is way, way ahead of where he was last year at this time, and that bodes well for him as the season progresses. Dave Wertz looked good in his first race of the year, winning Kirby's 5k in 16:00. On Sunday, Witty, Paul, and Outlaw braved the high winds to go 1-2-4 in the Pacers 5k as Paul and Outlaw tuned up for the USATF 15k, and Witty prepares for his first full track season since high school. Everyone will do mile repeats on Wednesday. For the men, we should be able to roll as one group. The A group will go 5 x mile w/ a 2:30 recovery in 5:10, 5:05, 5:00, 4:55, 4:50. The B group will do the same workout, but start at 5:15, and then go 5:10, 5:05, 5:00, 4:55. Thus, the B group can do the first rep on their own, and then the A group guys can join them. The women will also do 5 x mile, which I will detail in a separate message. 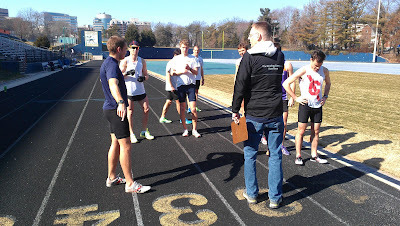 On Saturday at 11 am at BCC, we're going to have a 3k time trial for the men. Please let me know if you plan to participate. We'll also have a tempo type workout for the women and any of the men who don't want to run a hard 3k (likely including the Boston group) at 10. More details on the workout will follow later in the week. The GRC women arrived in force this morning at the Have a Heart for Hoffman Boston Elementary School 5K in Bluemont Park. In addition to supporting race director and GRC runner Kirby Cole, the team selected this race to bust some rust in preparation for the spring racing season ahead. Anna led the women on the out and back along the W&OD trail with the rest of the team in close succession. Oh yeah, Dave and Charlie also raced. Wertz powered through with the win while Ban swung by during his Saturday run to scoop up second. Over 150 runners participated and helped raise funds for the Hoffman-Boston's Girls on the Run and physical education programs. Has there been any chatter about weekend runs/workouts yet? The workout for the A group is catered for Sam, who is looking to run fast in Boston. Sam will do 4 x 800 with a 3:00 recovery, in 70s, 69s, 68s, 67s. Ryan Hanson has agreed to run it with him, and if anyone else wants to join in, you’re more than welcome. To my way of thinking, however, it would behoove the rest of you to run the B group workout, which will allow you to get in more volume. The B group workout will be 8 x 800, with a 2:30 recovery, 2 @ 75s, 2 @ 74s, 2 @ 73s, 2 @ 72s. We can also modify that workout for anyone who wants to start a little faster and finish a little faster by adding 2 more at the end. Comment if you get the title reference. The answer is the title of the book The Cold Six Thousand. 8x800 is just over 6000. Option 1: Tempo workout at BCC with Jerry. Warmup starts at 9:15, workout at 10. Option 2: Shop Run? Post if you're interested. Perhaps the shop run could be at CC and run by the workout at BCC. Option 2: The Boston group will be doing one of Jerry's Famous long run workouts at BCC. The workout is highly structured, so contact Jerry if you would like to join.